Dr. Terence Tse and Dr. Mark Esposito are experts at analyzing megatrends. 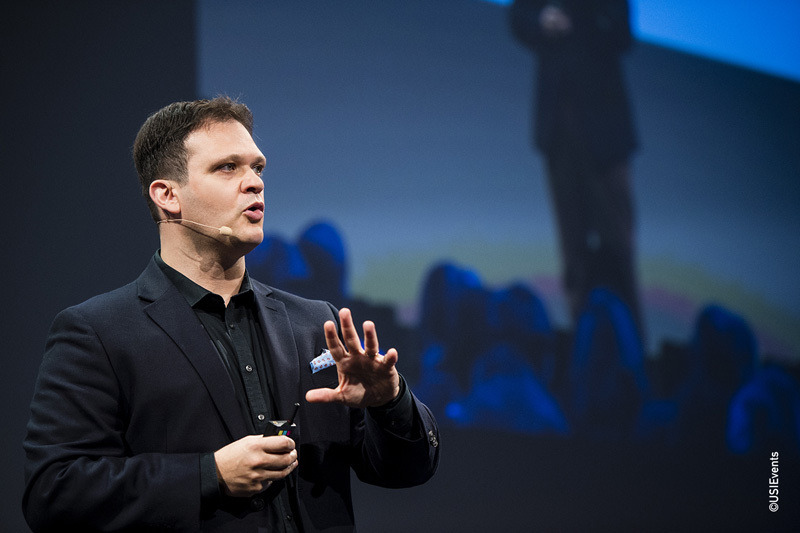 The duo, who have collaborated for over ten years, use their unique knowledge to study the trajectory of major world events to help companies understand how to plan for and succeed in the near future. 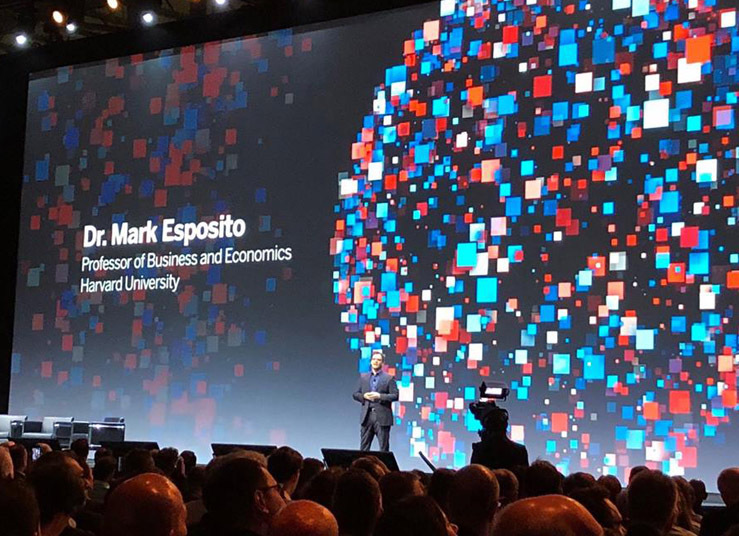 As a result of their research into megatrends, Esposito, an economics professor at Harvard University’s Division of Continuing Education, and Tse, a finance professor at the ESCP Europe Business School, created the DRIVE framework. This framework helps people and clients like the United Nations Global Compact, the European Parliament, and major corporations throughout the world understand how demographic changes, resource scarcity, inequalities, volatility, and enterprising dynamics will impact the near future. Mark and Terence knew their DRIVE framework could demystify megatrends, but they had no way to share it outside of academia. Based on the demand from their existing corporate clients, they started doing public speaking engagements. Audiences were enthralled by their ideas, but Mark and Terence encountered the same problem every time they stepped off stage. Moreover, their bread and butter is teaching at universities, where “publish or die” is the ruling dictum. They needed a publication or they were guaranteed to fall behind their competition in academia. They knew they had to write a book, but being on different continents made it impossible. They created a short outline, but never got further in their attempt to put the DRIVE framework on the page. They couldn’t coordinate a cup of coffee together, let alone an entire book. Before long, frustrated and pulled in too many other directions, they scrapped the idea by convincing themselves that there’d be no interest in their project anyway. That’s when their friend, bestselling author and former business school dean, John Beck intervened. John saw potential in their book, and insisted that they finish it. John happened to know the co-founder of Scribe and convinced Mark and Terence that it was just what they needed: a service that would get their ideas out of their heads and into a professional book in a short timeframe, yet be entirely their work. Their team at Scribe helped them do what they thought was impossible: find the discipline to write their book. Terence and Mark found the process smoother than they’d expected. The short timeframe, which worried them at first, forced them to get out of their own heads and work more efficiently. Parts of the process they weren’t initially comfortable with now turned into moments of delight. However, Scribe’s guidance didn’t change fundamental reality: writing a book is a difficult endeavor no matter how you do it. The book opened up more opportunities than they imagined, or can realistically accommodate. John Beck had convinced them that their book on megatrends was relevant to people, but they had no idea to how many and to what extent. The response since their book was published far surpassed their greatest hopes. They’re now conducting five times more workshops and speeches than before the book. Mark and Terence also work with even bigger companies than they’d consulted before, such as the London Stock Exchange Group, Lloyd’s Bank, MOL Oil Group, Bank of America-Merrill Lynch, Ferrari World, and many, many more. Even with the overwhelmingly positive response, they didn’t experience the full impact of their book’s success until the Asian leg of their world book tour. At one of the first stops, in Thailand, they spoke to a sold-out theatre of more than 800 people. They’d given speeches to large audiences before, but never of that magnitude. Their most satisfying moment came when they got offstage. 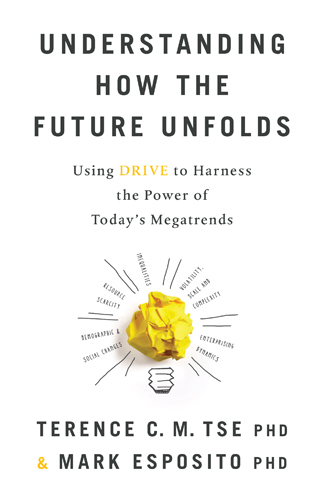 Just like before, people asked them what books they could recommend about megatrends. Now, after all of their hard work, Mark and Terence didn’t have to respond with a sheepish admittal that no such book existed. They could proudly look their fans in the eye and recommend a book called Understanding How the Future Unfolds. Their own book. That moment—and the similar moments that have followed—represented the culmination of everything they’ve worked for: to be able to effectively and easily share their wisdom with the people who would benefit from it the most, and not just the wealthy corporations who could afford to pay their consulting fees. The accolades and opportunities have kept coming. This fall, the Central Bank of Ecuador will bring Mark and Terence to speak at their annual meeting. Thinkers50 named the DRIVE framework as a finalist for the Best Breakthrough Idea Award of 2017. 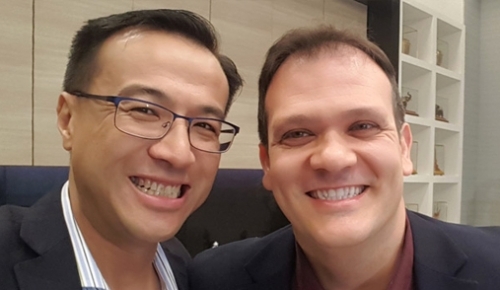 Professional Manager Magazine named Mark and Terence two of the Top 18 New Voices in 2018. Talent Quarterly called the DRIVE framework one of the twenty-four trends that will transform management for years to come. And Harvard University’s executive training program uses their book as the course textbook. Ultimately, the future casters aren’t exactly sure what their own futures hold. They know they like giving speeches, and they’ll never get sick of hearing from people who their work has influenced. But where do Mark and Terence see themselves in the years to come?